Using liquid nanotechnology to protect your smartphone and tablet, the Crystalusion Liquid Glass provides a resistive layer that protects coated surfaces from dirt, oil, dust, abrasion and bacteria for up to 12 months. 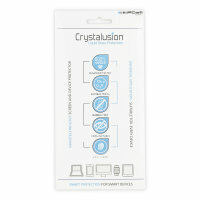 Crystalution Liquid Glass Screen Protection. 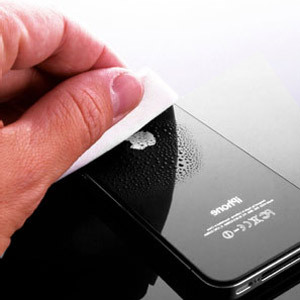 I ordered this item,and found it really easy to apply onto my phone screen.It certainly seems to have done the trick,I no longer have the problems of sticky fingers either,It's much easier to keep clean. 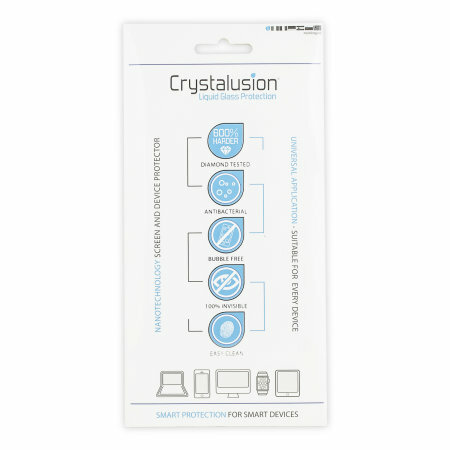 Crystalusion is a revolution in screen protection, offering an easy solution to protect and easily maintain media devices - including smartphones, tablets, mp3 players, laptops and sat nav (satellite navigation) systems. This new liquid glass protection is safe, natural and eco-friendly. 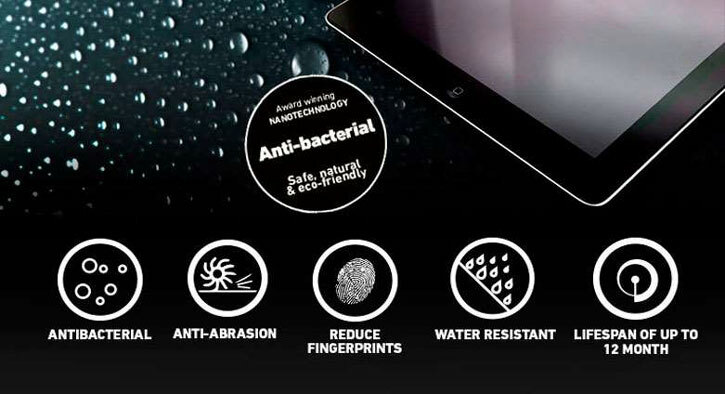 Furthermore, Crystalusion Liquid Glass Protection includes award-winning anti-bacterial nanotechnology. Utilising nanotechnology, the liquid screen protector provides a resistive layer - protecting coated surfaces from dirt, oil, dust, abrasion and bacteria for up to 12 months. Rather than a solid layer of plastic, it is actually a liquid that you wipe on to your device. This then sets in a matter of minutes, to form a protective layer that is approximately 500 times thinner than a human hair. As it's a liquid, there won't be any annoying bubbles that form and you can apply it to the whole of your device for all round protection. 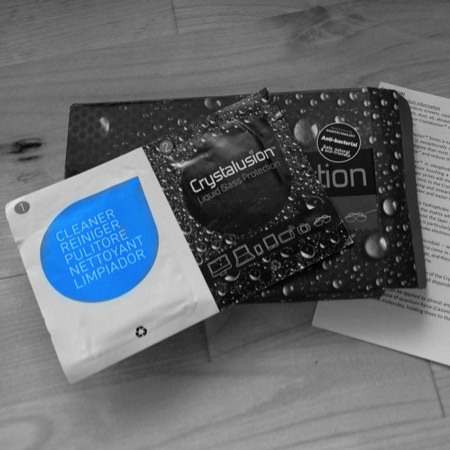 Crystalusion is anti-bacterial / anti-microbial, which means it does not support the development of bacteria. When bacteria come in contact with a treated surface, it is not able to divide through ionic exchange and therefore dies. The hydrophobic properties allow it to repel dirt and oil. Fingerprints on the coated surface cannot stick to the Crystalusion layer, which means they can be cleaned off with minimal wiping in comparison to an untreated surface. The layer is exceptionally smooth, so water isn’t able to easily adhere to the surface. This is particularly beneficial when wearing glasses in the pool. PLEASE NOTE: The application of Crystalusion does not make a product waterproof. 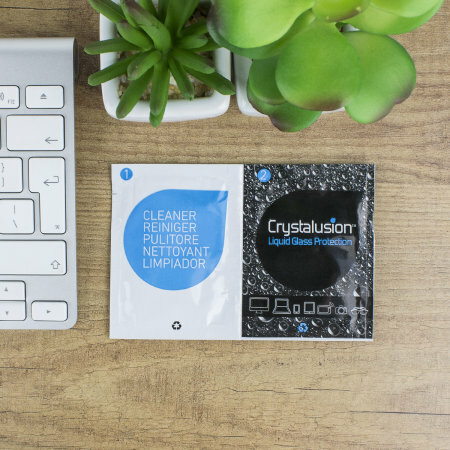 The unique properties of the Crystalusion solution mean that they can also be effective for use with glasses, sunglasses or goggles to reduce fingerprint smudging and increase water-resistance. The first sachet includes a pre-treated microfibre cloth, which should be used to clean the device until the entire surface area is free of dirt, grime, fingerprints, cosmetics and oil deposits. 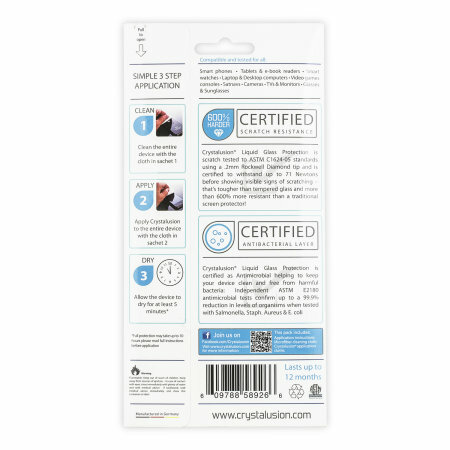 Once dry, coat the device in Crystalusion Liquid Glass Protection using the pre-treated microfibre cloth contained in sachet. Continue to apply to the device until the cloth is completely dry. After application, allow the device to dry for at least 5 minutes before handling. After 5 minutes the device is touch dry and can be handled lightly, but we recommend you allow a 12 hour drying time for the Crystalusion™ liquid glass layer to form. PLEASE NOTE: The best performance is achieved after several hours has elapsed, we recommend that you coat your device immediately before a period where your device is unlikely to be handled - just before going to bed is a great time.